My family loves to eat. I love to eat. My wife loves to eat. My kids love to eat, too. We, of course, all like different things, seemingly all the time, but that just keeps it interesting. While this is all a priority for us, somehow, some way, dinnertime can be quite chaotic. I have to work to and so does my wife. The kids have activities and homework. Add to that some family time and errands to run and you seem to rapidly lose time for just about anything else. Despite all of our love or eating, dinner prep and cooking of times seems to get pushed to the bottom on the to-do list. There are times where we just need an easy meal. My wife and I (and my 13 year old daughter) absolutely love to prepare some amazing, home cooked meals. We also love to go out and order in sometimes as well. But there are some nights where I want to eat something good and not spend a fortune. Even better, it has to be prepared in a short amount of time with little to no fuss. Striking the balance of ease, value, and quality always seems to be challenge. If you have kids, I think you know that there’s really only so much that can be done to control the chaos. From general silliness to Fortnite dances to choir practice recaps, there always seems to be something fun going on during meal time. Sitting still is just not really a great option. As much as I really don’t want to remove all of the fun chaos, I do love reducing all the chaos around planning and preparing the meal itself. I’ve looked high and low for all of the best options that check as many boxes as possible. I wanted to share a brand that my family loves when we really feel like some Asian goodies but don’t want to order takeout. Ling Ling makes awesome food that checks all the boxes!!! While we love takeout, so many restaurants just don’t over the taste, convenience, and value I look for. Ling Ling provides authentic Asian recipes bursting with flavor!!! The meals taste awesome and they are made with high quality, clean ingredients like freshly sourced vegetables and savory proteins! The potstickers are loaded with flavor, and they come with Ling Ling delicious signature dipping sauce!!! I’m telling you, these potstickers are just as tasty and satisfying as an other I’ve had in any restaurant!! It’s a home-run taste and texture, without a doubt. Aside from really being a tasty meal, I love that Ling Ling is so easy to prepare. When I made these fantastic Ling Ling Chicken and Vegetable Potstickers, it could not have been easier. Simple add water and drop in the sauce until it is heated. Add a touch of oil and drop your potstickers in your pan and pot. Be careful and pay attention, because these really do stick to the pot! 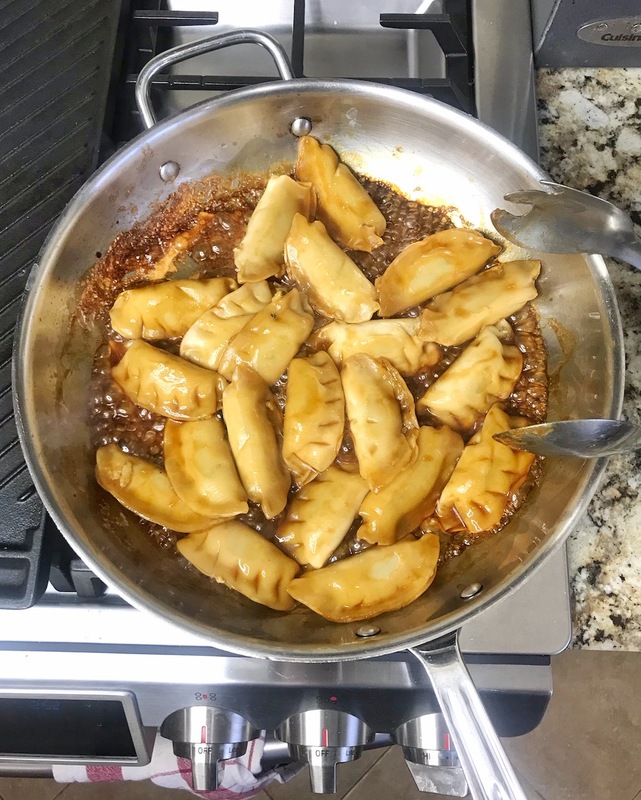 Flip and brown to your liking and make sure all of that awesome sauce is covering your potstickers! All-in, it took about 10 minutes for them to be ready to eat. You definitely want to make sure you both cook with the dipping sauce as well as have some left over to dip at meal time!! 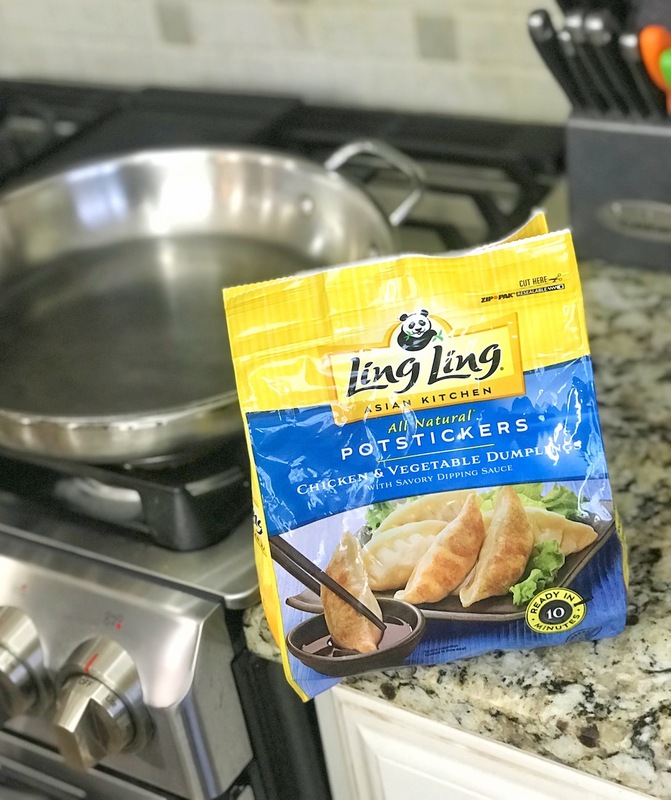 Ling Ling Potstickers are available in Chicken, Pork, or Vegetable flavors, so they are perfect for families like mine. My daughter doesn’t eat a lot or meat, so the veggie is great. I love pork, so that’s a win for me. The rest of the crew are all-in on the chicken, so everyone is happy!! Plus, the food itself just lends to family meal time! They are super convenient and very easy to share with family and friends. 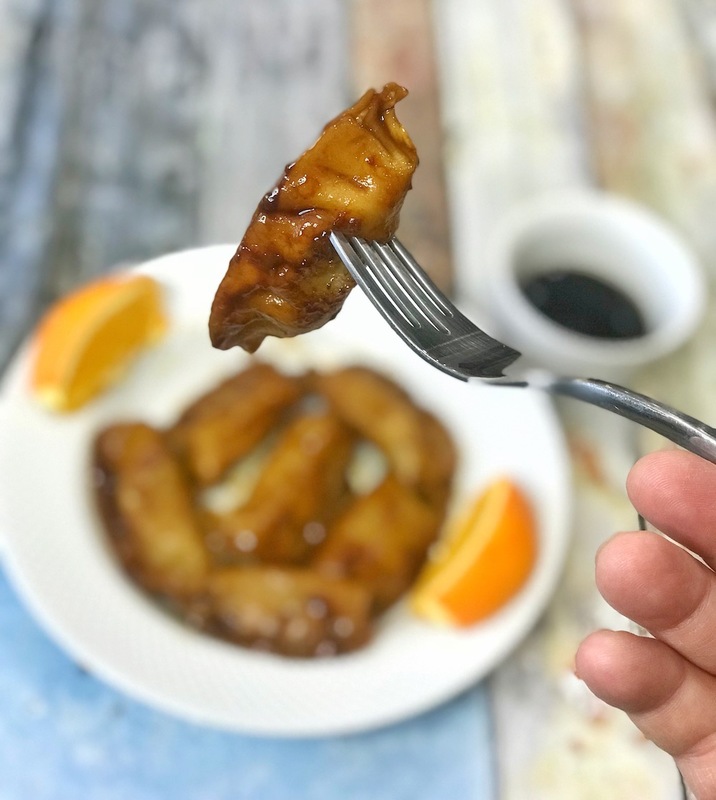 These are perfect for dinner, snacks, movie or game night, and even for a fun Chinese New Year celebration!! That’s coming up on February 5th, so these would be perfect!! On top of being super tasty and convenient, you get a lot of your money. A couple of bags will likely feed the whole family, and these are priced right! You just can’t beat it…check it out at your local supermarket. You just cannot eat out or, likely, even order in for the price! It’s a great value! Yum! I love potstickers – these look so easy to make at home. My family would love them too! My husband and I both love potstickers. They’re so versatile in preparation options. You can have them twice a week for a month and never feel like you’re tired of them. 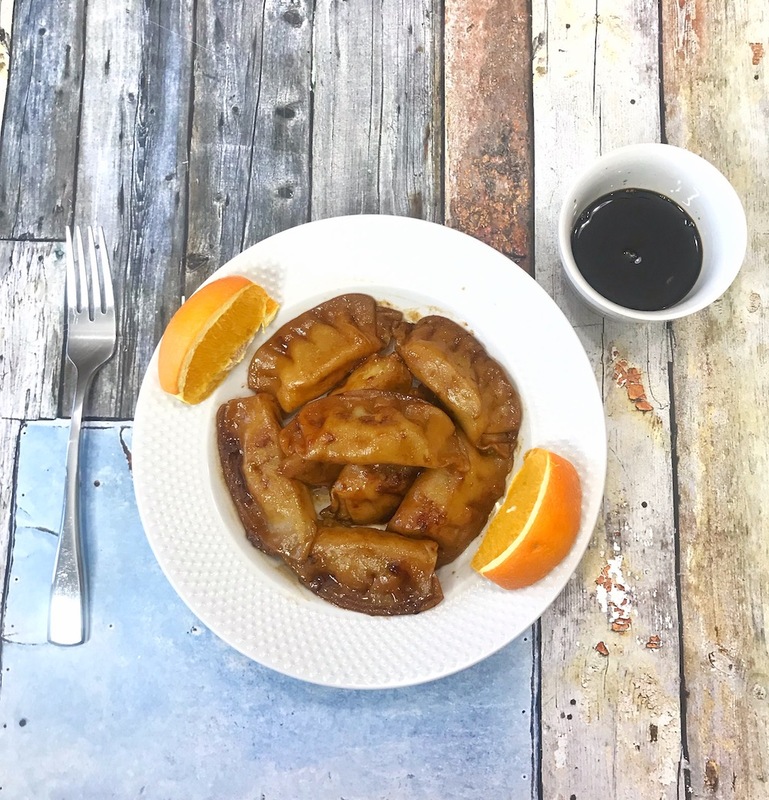 Pot stickers are always a favorite and can be a pretty quick satisfying meal. These look delicious and something we would totally enjoy. I tried my first potstickers about 5 years ago and I have been addicted ever since. They are SO good! I’ll be on the lookout for Ling Ling next time I am shopping! These potstickers look absolutely delicious! As a busy mom, I’m always looking for easy dinner options. This one is a winner. Yum, we love potstickers and it looks like Ling Ling makes them super easy to enjoy. How awesome that they come with a dipping sauce too!